The question of how much is a new roof does not come with an easy answer. Roofers must consider a whole range of variables when quoting a price for a new roof. Roofers charge for a new roof in squares. A square is 100 square feet. When you ask how much is a new roof, a square does not just mean the price for the roofing material, but everything that goes into installing a new roof and running a professional company. An important but often overlooked factor in the price of a new roof is where you live. A roofer has to consider the local cost of living and the economic conditions of where they live. They must also consider the geographic location of your home, and the ease of purchasing and delivering the necessary materials. 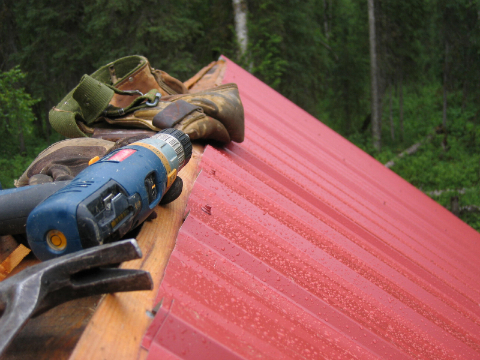 It is important to hire a professional contractor to install your new roof. Some companies will try to save money by hiring illegal workers, and skimping on insurance costs. This can mean injury on the workplace with no compensation, and a poorly installed roof. A poorly installed roof will be much more costly than the initial savings you receive. So when you are asking the question of how much is a new roof, be sure to consider all factors that affect price.